Alberto Moreno’s turnaround at Liverpool has been nothing short of incredible. Last season, the Spaniard barely got a sniff of first-team action and spent the entire campaign as James Milner’s understudy. But this campaign, despite Klopp buying Scot Andrew Robertson for £10m to compete for the position, Moreno’s made it entirely his own. His form has earned him a recall to the Spain squad for the first time since 2014 and the player is delighted it’s all going so well for him. 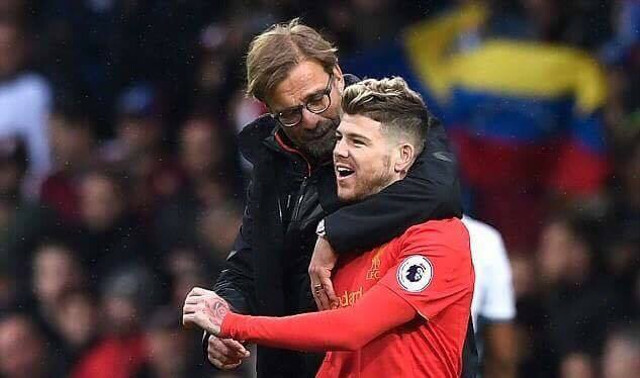 “It’s true there were a lot offers at the end of the season but my intention was always to stay at Liverpool,” Moreno told IBTimes UK. “Klopp was very honest. He couldn’t promise me anything and told me that they were going to sign a new left-back [Robertson]. But I wanted to play for Liverpool. It’s a great club and I could see myself playing here. Like most Liverpool fans, we’d written off the 25-year-old and can happily admit to being delighted that he’s proven us wrong. Not only does he offer sensible passing and pace down the left, but he’s improved positionally as well. As a result, he’s not been directly at fault for any goals this term and has actually been arguably our best defender. His revival reminds us in many ways of Lucas Leiva’s. The Brazilian was booed by the Kop before eventually winning Liverpool’s Player of the Year gong in 2011.